In an interview on the CNC3 Morning Brew on Monday, Gypsy linked the shrinking support of calypso tents to the “bashing of Indians” to the extent that they have stopped going to the tents. He said it is this bashing which led to the emergence of chutney/soca by East Indian entertainers to create something for themselves. “That is his position. I respect his position, but that is not my position,” Ras Kommanda said. “Every man has a right to determine his own destiny, and if the East Indian artistes felt the need to do something representative of them, so be it. But I take umbrage when leaders – powerful people make those kinds of statements because people tend to believe it. Right now you have East Indian people in the People’s National Movement (PNM) which is a predominantly African-based political party and likewise, Africans in the United National Congress (UNC) which is an East Indian-based party. Kommanda also took issue with Gypsy’s statements on the cost of government funding for organisations such as TUCO with no returns for NCC or the people of TT. Gypsy said when government entered into this arrangement to fund the Carnival interest groups, it was not supposed to be indefinite. 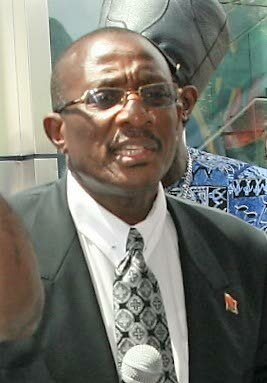 The former politician turned NCC administrator said each year subvention between $10 to $30 million is expended on these groups with nothing coming back to the coffers of NCC or to the people of TT. Kommanda explained, “We have an arrangement with government through an act of Parliament to take care of certain elements in the Carnival. We have been doing that, representing this country with the Calypso Monarch – junior and senior. We have delivered Calypso tents which have grown tremendously. On the issue that calypso tents have become more like political meetings with calypsonians singing the same tune about “Rowley and Kamla and Panday and Manning,” Kommanda questioned Gypsy’s about-face. “All of a sudden. When he was singing somebody stealing the soul of the nation, that wasn’t political. So, he alone must sing political commentary?” Kommanda asked. Gypsy, who has dominated extempo competitions over the years, spoke on a wide range of topics including his decision to get back into the competition ring, especially the extempo he lost to Myron B, regardless of his administrative position. He said people in that position often kept their day job, and as a calypsonian he is keeping his. For Carnival 2019, Gypsy will be producing a calypso tent based in Tunapuna. He has already released a song titled Fake News and is in a studio working on another political commentary about when elephants fight. Reply to "TUCO PRO challenges Gypsy"